Post-Season Chances: I have the Blue Jays winning the American League East by a small margin over the New York Yankees to capture their first AL East crown since 1993. The Blue Jays were big spenders this off-season and inked the likes of SS Jose Reyes, SP R.A. Dickey, Josh Johnson and Mark Buerhle, plus 2B Emilio Bonafacio. When you add those names just listed above to a team with guys like OF Jose Bautista, OF Melky Cabrera, OF Colby Rasmus, 1B Edwin Encarnacion, as well as SP Brandon Marrow and Ricky Romero, this team is scary good…on paper. The Blue Jays have what appears to be a well balanced team with a solid rotation/bullpen. Also, the Blue Jays have roster depth with guys like INF Mark DeRosa and Maicer Izturis as well as DH/1B Adam Lind and OF Rajai Davis. I feel as though all of these factors will lead Toronto to an AL East title and a potential deep post-season run. Award Winners: Despite the Blue Jays potentially having one of their most successful seasons since the early 90’s this year, I don’t foresee any MLB hardware being handed out at the end of the year in Toronto. Prospects to Watch: According to CBSSports,com SP Sean Nolin and Aaron Sanchez will be a pair of arms to keep an eye on this season. 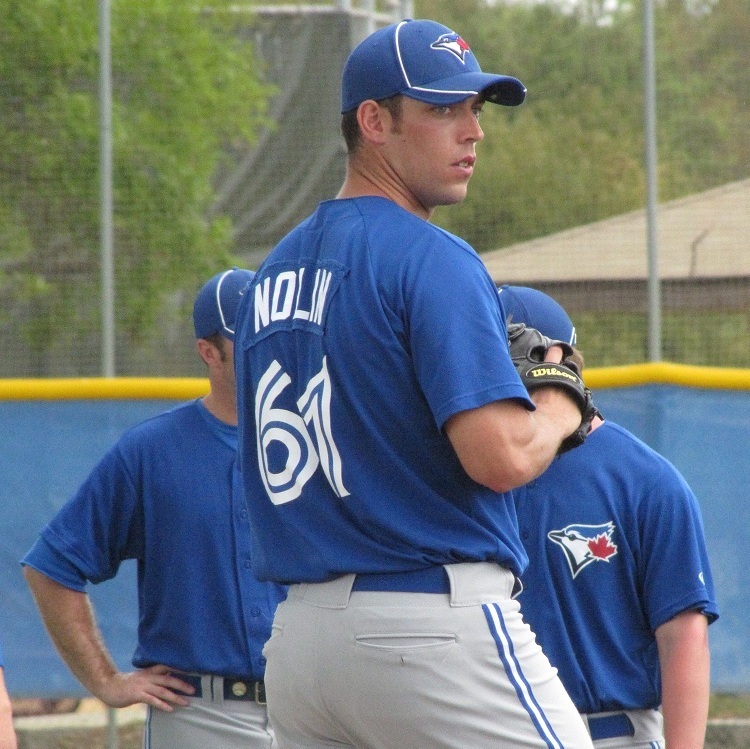 Nolin could potentially help bolster the back end of the rotation to give guys like Morrow, Romero, and even Buehrle a break. The 23-year-old Nolin posted a 2.04 ERA with 108 strikeouts surrendering only 27 walks in 101 innings pitched in the minors last year. Sanchez, 20-years-old, also shined last year in his professional ball debut posting a 2.47 ERA with 97 strikeouts in 90 innings of work, allowing 64 hits all season with 51 walks. Both are players to keep track of in Toronto. Post-Season Chances: While the New York Yankees were quiet spenders in this year’s offseason, they managed to make the right moves to address their team needs. The Bronx Bombers picked up former Red-Sox free agent OF Kevin Youkilis and DH Travis Hafner (former heavy hitter for the Cleveland Indians). This year’s Yankees team will not have Alex Rodriguez (barring a medical miracle) but that doesn’t mean the Yankees won’t find their way to the playoffs. Minus A-Rod this is the same team that won 95 games and the AL East crown last season. Plus Youkilis should fill in for A-Rod just fine at 3B. Not to mention Hafner could return to his heavy hitting ways at the shorter fenced Yankee Stadium and add even more pop to an already potent lineup. Moreover, the Yankees will find a way into the post-season once more. Most likely by way of securing a Wild Card spot. 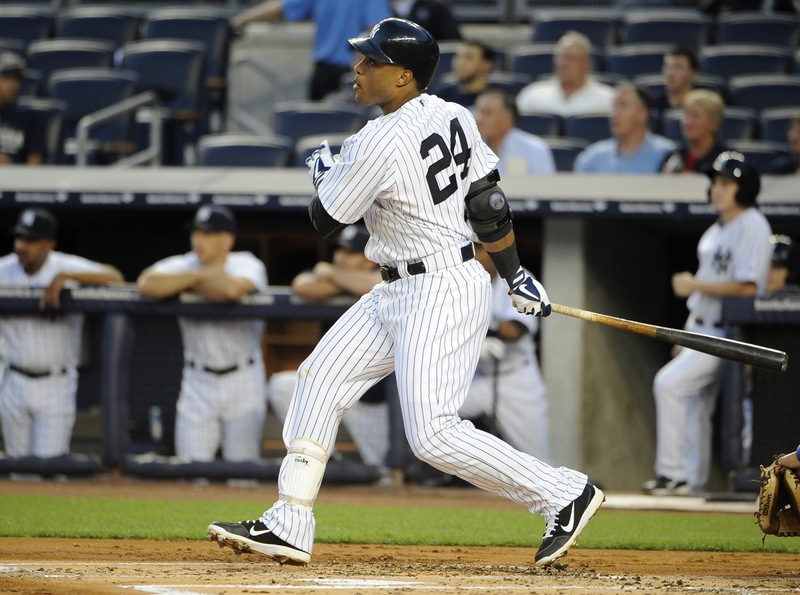 Award Winners: The 2013 MVP award goes to… NYY 2B Robinson Cano. That’s correct, I have Cano as my pick for this year’s MVP. While the other logical picks of rookie sensation Mike Trout or Triple Crown King Miguel Cabrera might be more suitable choices, I think Cano can steal the show. The reason being: Cano is in the last year of his contract and will have a big payday coming at seasons end. So, what better way to make that payday extra sweet than by not only being the best power hitting 2B in the free agency, but to also have a career year and win MVP? Cano finished 4th in last year’s MVP voting with a 313. average, 33 HR and 94 RBI and should be primed to try and win this year’s coveted award. Prospects to Watch: According to minorleagueball.com C Gary Sanchez and OF Mason Williams are two future pinstripe prospects worth your while. The 20-year-old Sanchez split time last year between Low-A and High-A ball in Charleston and Tampa hitting for a combined .289 average 18 HR and 85 RBI in 116 games. Williams, 21-years-old, also split time in Low-A Charleston and High-A Tampa with a combined .298 average, 11 HR and 35 RBI. If numbers like those continue to rise these two could see early call ups to the big show. Post-Season Chances: Everything in my “sports gut” tells me the Sox have a shot at sneaking into the post-season via the last Wild Card spot. However, fanship aside, with Boston realistically only winning roughly 85 games this season by my count, that leaves them on the outside looking in come October. Award Winners: Unless the MLB creates a new award for “Comeback Team of the Year” I don’t see any award winners on this year’s roster. Prospects to Watch: SS Xander Bogaerts and OF Jackie Bradley Jr. are without question the top two prospects to keep tabs on this year. 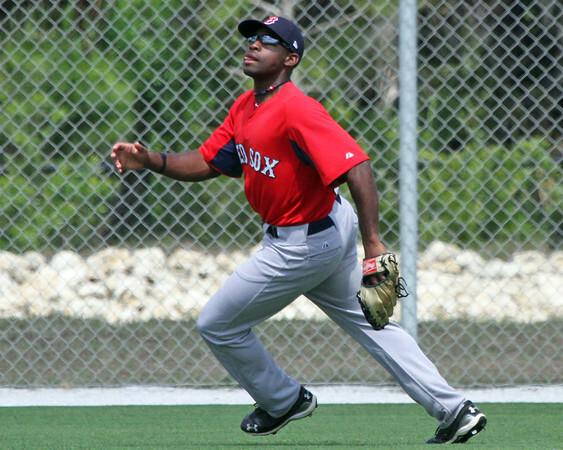 Bogaerts and Bradley Jr are already impressing the Sox in Spring Training. Bogaerts went 1 for 4 and Bradley Jr. went 1 for 3 with an RBI. Bogaerts hit for a .307 average with 37 doubles, 20 HR 80 RBI and 71 runs between Single-A Salem and Double-A Portland, while Bradley Jr. batted .315 with 42 doubles, nine HR, 63 RBI, and 90 runs also playing with Single-A Salem and Double-A Portland. Both are on a fast track to Fenway and should be exciting to follow throughout Spring Training. Side note on Bogaerts: He played 3B for the Sox in their recent 11-1 drubbing of Boston College to prepare for his role on Team Netherlands in the World Baseball Classic. The WBC is set to begin on March 2nd. While Bogaerts focus for the Red Sox will be to play SS, he will likely be moved over to 3B for the WBC, as Jurickson Profar (Texas Rangers and the MLB’ number one prospect) will hold down SS for Team Netherlands. Post-Season Chances: Granted, the Rays did manage to win 90 games last season, and were only edged out by the Baltimore Orioles by 3 games to miss the post-season. However, with a weaker bullpen this year, and a lack of roster depth, I don’t have the Rays making it to the post-season this year. The Rays have key cogs like SP David Price (2012 AL Cy Young Award Winner) and 3B Evan Longoria, as well as role players like SS Yunel Escobar, OF/INF Ben Zobrist, and SP Matt Moore. All of whom will easily help this ball club win close to 85 games, but unless their bullpen improves and they add another solid bat to the lineup, this team will struggle in 2013. Award Winners: With David Price winning last year’s AL Cy Young Award, he should be poised to attempt the first AL pitcher to win back-to-back Cy Young Awards since Pedro Martinez in 1999 and 2000. Price, however, will not win the 2013 Cy Young Award, as I see his numbers dropping a tad this season. He will finish 3rd in the voting behind Justin Verlander and my 2013 Cy Young Award winner: Jered Weaver. Prospects to Watch: According to baseballprospectus..com OF Wil Myers and P Chris Archer are at the top of the crop . Archer started in 4 major league games last year for the Rays, pitching in 6 total. Archer produced a 1-3 record with 36 stirkeouts and a 4.60 ERA. Archer faired better in 2012 in Triple-A where he had 139 strikeouts with a 3.66 ERA and finished with a 7-9 record. As for Myers, he exploded last year in the minors putting up big numbers in both Double-A and Triple-A. Myers combined for a .314 batting average with 37 HR and 109 RBI. Myers performance last year landed him in this year’s top 10 MLB prospects list. Both could see playing time at Tropicana in the near future. Those middle of the pack numbers simply won’t cut it in this year’s AL East if the Orioles want to make another run at the post-season. Since that 1997 playoff season (in which the O’s won 98 games to clinch the division) Baltimore has only broken the .500 mark once (in 2012) and has finished dead last four times, fourth place nine times, third place once, with the highest finish since 97′ coming last year ending the 2012 season in 2nd place. One more fun fact I should mention…Where did the Orioles finish the season after they clinched the AL East in 97′? The Answer: fourth place with a 79-83 record. The only reason they didn’t finish in dead last in 1998 is because the then “brand new to baseball” expansion team Tampa Bay Devil Rays who finished in last going 63-99 ( 98′ was Tampa Bay’s first season in franchise history). Lastly, one of the keys to Baltimore’s success and overall record last year was closer Jim Johnson, who finished 2012 with 51 saves. Those 51 saves helped account for more than half of the Orioles wins in 2012 (93 wins divided by two equals 46.5, and since a save equals a win Johnson’s 51 saves translates into helping the O’s win more than half of their games in 12′). Unless Johnson can put up another 50 spot, Baltimore will have a setback season in 2013. Award Winners: Given that I have the O’s finishing in last place this year, I also have them collecting no awards in 2013. Prospects to Watch: According to baseballprospectnation.com SP Dylan Bundy and Kevin Gausman are a pair of arms you should watch closely as they are the top two prospects on Baltimore’s charts . In fact, Bundy is ranked as the top pitching prospect in the majors. Bundy went 9-3 in the minors last year with an ERA of 2.08, 119 strikeouts, and a 0.92 WHIP. 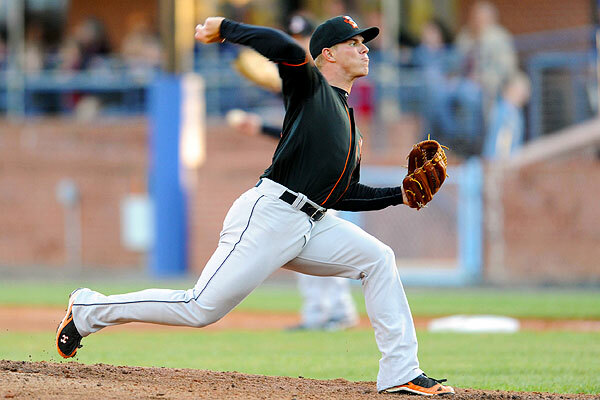 Bundy also pitched in two games for the O’s in 2012, for a total of 1.2 innings of work allowing 1 hit and 1 walk with a 1.20 WHIP. Gausman pitched in just 5 games last year in the minors but managed to total a 3.60 ERA allowing 11 hits, 1 walk, with 13 strikeouts and a WHIP of 0.80. While Gausman will certainly need more time in the minors, Bundy will most likely see action sooner than later with Baltimore, as he has proved last year he is ready to make strides in the majors. Bundy may be the young solution this year’s shaky Baltimore rotation will need, should things fall apart the way I’m predicting. Regardless, Bundy’s future in Baltimore, for now, is very bright. Final Thoughts: The AL East Division will no doubt boast as one of the most competitive and toughest divisions in the MLB this season (as it has proven to be in seasons past). This division can legitimately have four of the five teams finish with above .500 records (the way it did in 2010 and 2011). So, let’s hear it…how do you see the AL East shaking down this year? Leave a comment below. With pitchers and catchers meeting in Fort Myers, FL this Sunday (Feb.10th) baseball season is officially back!! Well alright, “technically” it’s not back until Feb. 21st when the Red Sox play Northeastern in their first scheduled Spring Training game. 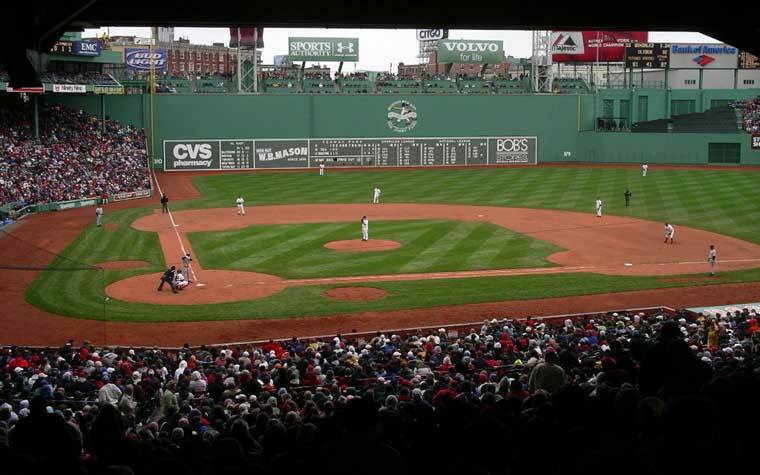 Nevertheless, with the season, and spring, right around the corner; I thought I’d give the Fenway Faithful a preview of what 2013 should look like for the Bo-Sox. Granted this is just a rough draft of what the lineup “could look like”. Only John Farrell will truly be able to assemble a proper lineup when spring training is complete. For now, the above lineup is my take on where Farrell may go with the batting order. The lineup could very well have Ellsbury and Napoli batting Cleanup at 3 and 4 which would then likely shift Dustin Pedroia to bat 2nd in front of Ellsbury and have Papi batting 5th after Napoli. Also, Farrell may choose to have a healthy Ellsbury be the lead-off hitter, which Ellsbury has certainly had success at in seasons past. However if Ellsbury puts up 2011 numbers this season, having him 2nd or 3rd could be more beneficial for the Red Sox as far as RBI production is concerned. Lastly, the bottom of the order is subject to change as well. Middlebrooks, Gomes, and Drew could all bat lower or higher based on their spring training results. Salty will stay at the bottom of the order until he can prove he’s the switch hitting prodigy he was supposed to be. Only time will tell what the everyday batting order will eventually look like. While the pitching rotation isn’t exactly terrifying to many teams in the majors, this assembly of arms can get the job done for Boston. Lester and Bucholz will have to bounce back, Dempster will have to pitch more consistently than in seasons past, Felix Doubront will have to prove he wasn’t just a one year wonder baller, and John Lackey will have to return to his prime if the Sox want to get the most wins out of this group. The rotation may change throughout the season, as it often does, as the Red Sox have options should one of these guys fold. Boston can bring up the likes of Rubby De la Rosa or Allen Webster from Triple-A Pawtucket if those two show they are primed for a big league day job. Also, Boston could add to the Rotation if they choose to sign still-free-agent starting pitcher Kyle Lohse (formerly with the St. Louis Cardinals). Again like the lineup above, only time will tell what is working, and what needs to be worked out. The Red Sox Bullpen as it stands right now is the strongest weapon Boston has entering this season. While the 5-man rotation could use some re-tooling, and our lineup is still missing a big bat or two, the pen looks to have great promise in 2013. Boston went out in the off-season and added the likes of relievers Koji Uehara and Craig Breslow, and new closer Joel Hanrahan to sure up the 7th,8th and 9th innings for this year. All of which were inexpensive upgrades that should ultimately pay off for the Red Sox. Though I’m a die-hard Red Sox fan to my very core, I must blog with a sense of realism in making these next few predictions. AL East Finish: I sadly have the Red Sox finishing third this year just ahead of the Tampa Bay Rays by a few games. I see the Toronto Blue Jays meeting everyone’s expectations and winning the east with the Yankees somehow frustratingly finishing in 2nd place. The Orioles return to their usual spot, in the AL East’ cellar in last place. Postseason: With the Sox finishing third by my count, there will be no post-season play for this Red Sox group. I have the Blue Jays clinching a spot with the division crown and the New York Yankees beating out Boston for the final of two Wild Card spots by a few games. Final Thoughts: I whole heartedly hope I’m way wrong about my season predictions for the Red Sox. I hope some how, some way, the Red Sox can bring back some of that 2004 magic and sneak into the post-season. Realistically though, I only foresee a minor improvement for Boston as this is a rebuilding year. I look at it this way, ANY results this season should be better than last seasons 69-93 last place finish. How do you see the 2013 season going for Boston? Leave a comment below. Today, I will conclude my rankings of all the players in each teams’ starting batting lineups. This will be the easiest ranking for me to do in terms of evaluations, considering it will be solely based from an offensive production standpoint, rather than offense and defensive skills like the other positions. The Red Sox DH position was one of the question marks over the offseason. After David Ortiz’s contract was up at the end of the 2011 season, Big Papi made several remarks about how he’d like to join the Yankees to leave all the drama in Boston. During the offseason, he was constantly working with the Red Sox for a new contract and finally settled on a 1-year contract for $14.58 million to avoid arbitration. I’ll be the first to say the Sox paid too much for the greedy Ortiz here, who wanted $16.5 million, a significant bump up from the $12.5 he received in 2011. Despite paying too much, the Red Sox were basically forced into needing the 36 year old Ortiz in their lineup because they wouldn’t have been able to find anything close to a replacement in the free agent market this year. Just as a quick update on Spring Training, Varitek is set to retire at 5:30 today and the Sox are getting prepared for their first “game” vs Northeastern at 2:35 in Fort Myers on Saturday. This game will be the first leg of a double header, with Boston College playing the night cap. Ortiz has surprised many fans in Red Sox Nation that were ready to kick him out of town in 2009. After struggling the two years after the Sox second championship in four years, Big Papi has revitalized his career. He has hit 61 Home Runs with 198 RBI’s in the last two years combined. The biggest turnaround was his .309 AVG last year. It looked like Papi had no idea how to hit against the shift, but last year was a great sign for him. Adrian Gonzalez was said to give Ortiz a lot of confidence in hitting the ball with power to the opposite field, instead of trying to pull it to the right field or finnessing it against the shift, as Ortiz had tried in years prior. I’m predicting another solid year from Papi, but a little bit of dropoff considering his age. I’m thinking a .285/27 HR/ 95 RBI line from Ortiz in possibly his last year in a Red Sox uniform. Next up is the massive upgrade from the Yankees. Jorge Posada was a great catcher throughout his career for the Yankees, but they were hurting from the DH spot last year. When the Yankees dumped AJ Burnett’s salary a month ago, they were able to sign Raul Ibanez to be their Designated Hitter and backup outfielder. Although Ibanez at 39 years old is nearing the end of his career, he is a very big upgrade from Eduardo Nunez, the Yankees other apparent option for the DH spot. Assuming Ibanez can get his AVG back up to career norms (.270-.280) from last year’s .245 average, he should be able to provide consistent pop (20 HR, 84 RBI last year) in the back end of the Yankees lineup. Edwin Encarnacion of the Blue Jays is the third ranked DH. Last year, Encarnacion made big strides at the plate, showing much more consistency with a .272 BA (.244 in 2010, .225 in 2009). Edwin will most likely hit around his usual 20 HR, but his main issue since 2007 has been his ability to hit with runners on base. Every year since 2007, he AVG has dropped significantly with runners on base, hovering around the Mendoza line (.200) each year. This has been the main reason for his low RBI totals and he needs to improve this AVG to contribute more to the Blue Jay lineup. Luke Scott is known by many Sox fans for being an outfielder/DH for the Orioles, but he upgraded this year and switched over to the Rays. Scott had his season cut short last year and underwent shoulder surgery to fix a torn labrum. If Scott can return successfully to his numbers of 2010 (.284/27/72), he could end up ahead of Encarnacion and Ibanez in these rankings, but I don’t see that happening. That year was a career year for Scott and I see him returning to a .250 BA with around 15 HR and 60-70 RBI’s. Last in the rankings is Wilson Betemit of the Orioles. Wilson’s now joining his 7th Major League team and is mostly remembered by Red Sox Nation for his forgettable years with the Yanks. Not much needs to be said about Betemit, although he was fairly successful in limited AB’s in the past two years. At 30 years old, Betemit has never had a season with more than 412 AB’s. If he can provide numbers similar to his .297 AVG of 2010 and .285 AVG of 2011, he should be able to get a full time shot for the Orioles this year. Stay tuned for pitching analysis throughout the next two weeks. Excluding the Designated Hitter, we are now at the last matchup for position players. Just a quick update on spring training. Everything is going well so far, but Bobby Valentine and Varitek have been the hottest topics of conversation. I discussed my thoughts on Varitek in yesterday’s article: O Captain! My Captain! Varitek set to Retire Thursday. As far as Bobby V goes, it seems like there might be a year long bout between him and Terry. With Terry taking a role at ESPN, he is commenting and criticizing every single move by Bobby. Bobby isn’t cutting himself short in the media circle either though. He has been trying to ignite a fire into the Yankees-Sox rivalry ever since he took the job and I love it. I think the boneheads on our team need someone like Bobby to get them fired up and perform up to their abilities. It should be very interesting to see how the players react to his different coaching style this year. Jose Bautista is the real deal. He answered every question about whether he was a fluke in 2010 when he came back in 2011 with an even stronger campaign. Bautista has been in two consecutive All-Star games, received two consecutive Silver Slugger awards and he was 4th in the MVP vote 2010 and 3rd last year. With 97 HR’s in the last two years, Bautista’s power stroke will not be going anywhere, but I do see his .302 BA from last year dropping back down closer to his career norms. I’m expecting a .275/46/115 line for Bautista this year, which should keep him in the MVP race again this year. Next up is 27 year old Matt Joyce for the Rays. Although Joyce cannot hit lefthanders at all (.217 BA last year, .196 Career), he responded very well to his first season in which he received regular playing time. The Rays also have the luxury of using Ben Zobrist to fill in for Joyce against lefty’s, so that he doesn’t hurt their lineup. Joyce brings good power to the plate for the Rays (19 HR’s in 462 AB’s), but also displayed solid baserunning skills last year (13 SB’s, 1 CS). He also maintained a good average and had a great OBP. His overall ability gave him the edge over the older Markakis and Swisher. Nick Swisher got the slight edge over Orioles 28 year old Markakis. Swisher’s output this year is essentially already established. We can expect 25-30 HR’s out of Swisher, coupled with a low batting average (.254 career) and a much higher OBP (.374 last year, .360 career). I’m not expecting much of a difference in Swisher’s production considering he is only 31 and his role with the Yankees doesn’t look like it will be effected. Markakis has been a very durable player for the O’s since he joined their big league squad six seasons ago. Despite this, Markakis had surgery in January on a torn abdomen, which might hinder his ability at the beginning of the season. Markakis looked primed to be the savior of the Orioles franchise after a .300/23 HR/ 112 RBI line with 18 SB in his sophomore season, in which he was just 23 years old. That season turned out to have career bests in steals, home runs, and rbi’s. Markakis is still a solid player, just not the type of player Orioles fans around the country once wished. Last up is the Red Sox rightfielders, Cody Ross against Lefties and the occasional righy, and Ryan Sweeney matching up against mostly Righthanded pitchers. I think Ross will be a great clubhouse guy and provide another guy with some postseason success. 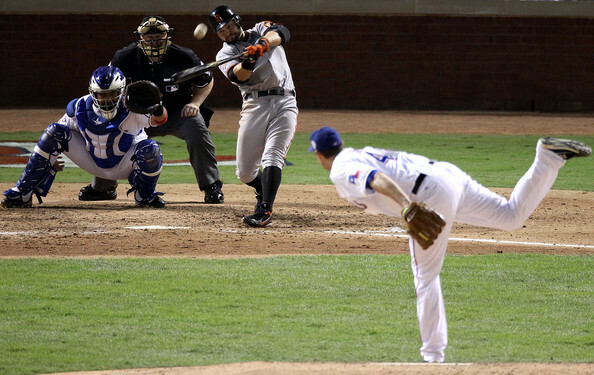 Ross is .261 career hitter and his career highs in HR’s and RBI’s were 24 and 90 respectively, with the Marlins in 2009. Ross has the capability to be a full time rightfielder for the Sox if he can rediscover the bat he had in 2009 with the Marlins and in the 2010 postseason with the Giants. Sweeney on the other hand has been atrocious vs lefty’s in his career(.233 career BA, .159 last year), making him at most a platoon player. Although he doesn’t provide much power, he will maintain a good average for the Sox and get on base at a solid rate (.342 career OBP). With Sweeney’s limited production, I see Ross getting the majority of the starts in Rightfield throughout 2012 for the Sox. Today, I will cover the AL East’s strongest position, Centerfield. To the surprise of many Sox fans, Jacoby Ellsbury absolutely broke out last year. The big story throughout the year will be how the Red Sox handle his expiring contract. They avoided arbitration with Jacoby this year by signing him to a one year $8.05 million contract (a big raise from his $2.4 million earned in 2011). I understand that the Red Sox didn’t want to reward him MVP money for the long term after his one year sample of his abilities, but I think they should make moves on a contract early in the season. The bad news for the Red Sox is that Jacoby’s agent is Scott Boras and he’ll be sure to try to squeeze every penny out of any organization for his clients. Throughout all 2011, Jacoby and Granderson were fighting to be the best centerfielder in their division, but also were fighting to be the league MVP at the same time. Long story short, Jacoby got snubbed for the MVP and placed second, while Granderson came in 4th place after his monster season for the Bronx Bombers. 2012 should be no different. As noted earlier, Ellsbury will be in a contract year and out to prove that last year was no fluke. Granderson wants to prove the same thing, considering he finally lived up to the hype that was pegged onto him after his breakout year in 2007 with the Tigers. Similar to the MVP race, Ellsbury inched ahead of Granderson in the rankings. Jacoby really looks like he figured out his power stroke last year and has speed for days. I think his steal numbers will bump back up to the 50’s, but not near the 70 he swiped in 2009. Jacoby’s speed on the basepaths and in the outfield coupled with his consistent batting average make him a good choice to repeat another big year. I’m predicting .305/18 HR/80 RBI’s out of Ells, with 53 SB’s and 115 runs in his contract year. Granderson on the other hand has pretty much established what he is capable of in his six full years in the majors. I see his 41 hrs as a bit of a hiccup last year. Last year, Granderson hit 16 home runs against lefty’s, while he had only hit 20 against them in his entire career. I still see him getting around 30 HR in Yankee stadium, which is built for swings like Grandersons. Despite this, Granderson has a lower average than Ells and doesn’t swipe as many bags. He gets slotted into the second spot due to this. Next up is Rays outfielder BJ Upton. As his career really begins to shape, it is starting to look like his brother Justin got the better genes. He was an absolute monster for the D-Backs last year in the NL West. BJ has been exposed for his flaws at the plate throughout his career. He has been known for his streaky hitting and when he’s on a hot streak no pitcher wants to face him (like the 2008 playoffs). He’s a very similar player to Jacoby from a statistical standpoint, except for his much lower batting average (.243 BA last year). Upton’s edge in the field gave him the third ranking over number four, Adam Jones of the Baltimore Orioles. Jones is a very dangerous hitter and getting better each year, but he has yet to master his control of the strike zone (.280 BA with a .319 OBP last year). Rounding up the rankings in Colby Rasmus of the Blue Jays. Colby had an off year last year after a promising first two seasons in St. Louis. He had a horrible batting year last year, with drops in BA, OBP, HR’s, RBI’s and SB’s. If he can figure out how to correct his batting woes from last year, he can provide some power in the sneaky good Blue Jays offense. Another day and another position ranking, today I will look into second basemen. First, I analyzed catchers, with Baltimore’s Matt Weiters coming out on top. Next, I analyzed first base, with the Red Sox MVP candidate Adrian Gonzalez filling out the top slot. The AL East’s star position has to be second basemen. It contains 3 of the top second basemen, and two legitimate MVP candidates, who are becoming the face of their respective franchises. This has been by far the toughest decision to make in the position rankings. I know every Yankees fan will disagree, as any loyal fan would, but hear me out on this one. Dustin Pedroia and Robinson Cano have been very similar in terms of offensive impact in the past few years (barring Pedroia’s injury shortened season in 2010). While displaying virtually exact career AVG (Pedroia .305 vs Cano .308), Pedroia has consistently reached base at a higher rate (.373 Career OBP vs Cano’s .349). Cano may be able to put up more HR’s and RBI’s than Pedroia, but Pedey has consistently put up many more steals and runs. Cano’s extra RBI’s can mostly be contributed to his spot in the batting order. Last year, 94.9% of his at bats were taken from the 4 and 5 spots in the order, while 77.3% of Pedroia’s at bats were taken from the 2 spot in the order. Yes, Pedroia’s extra runs can be mostly contributed to his spot in the order, but his steals and baserunning are still much better than Cano’s. All offensive prowess aside, Pedroia definitely has an edge on the defensive side ( 2 Gold Gloves in four eligible seasons vs Cano’s single Gold Glove during his 7 seasons). Also, Pedroia has a better fielding percentage and zone rating. Perhaps the most telling fact is WAR (wins above replacement), in which Pedroia 8.0 2011 rating, clearly outshines Cano’s 5.6. Despite this argument, it should be noted that if either team had the choice, they would not switch second baseman with the other team. Pedroia is a true Red Sox player, never afraid to get his jersey dirty, while Cano is a Bronx Bomber, provided unheard of power from second baseman position since the sloppy fielding former Yank Alfonso Soriano. Next up is Ben Zobrist, who is a great player for the Rays, but overshadowed by Cano and Pedroia. Zobrist has the talent to fight for the top second basemen spot in any other division. He has the potential to contend with Cano and Pedroia, but his inconsistency gives him the third ranking. He displayed incredible numbers both last year and in 2009, but his steep dropoff in 2010 (.239 BA and a 63.0% HR decrease) leaves room for concern. Filling out the fourth spot is Blue Jay second baseman Kelly Johnson. Kelly was acquired by the Jays from the Diamondbacks last year in a trade for Aaron Hill and John MacDonald. Johnson has been even more inconsistent than Zobrist, but should give the Jays a good option at second as long as his average stays up. I see him providing about a .275 average and 20-25 HR’s in his first full year at the Rogers Centre. Lastly, the Orioles have the oft injured Brian Roberts slotted in as their starting second baseman. Although Roberts was once regarded as a top second baseman, those days are gone after only playing 98 games in the last two years combined. Whether he gets injured again and Robert Andino fills in for him remains the true question. Both will provide similar offensive output and show good speed on the basepaths. I don’t see the credentials to rate either one above any of the other second baseman in this stacked division though. For Catcher rankings, click here. For First Baseman rankings, click here.